"Lord Rama is known by many different names. 'Amrit Naam Ram' is an exceptional album in which different names of Ram are recited in the legendary voice of Jagjit Singh. 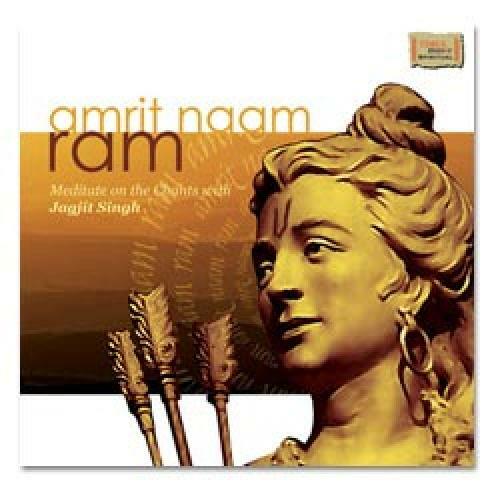 'Amrit Naam Ram' is the third album in the series after Jai shri Ram & Mere Ram. Jagjit Singh's music direction is seen to be pioneering in changing with the changing times and is at par with excellence. Lord Rama is the one of the universally worshipped Gods of the Hindu religion. Sri Ram is also identified as Maryada Purushottam Ram because he is the epitome of righteousness. Lord Rama is considered as the perfect man, due to the fact that he makes a perfect son, a perfect husband, a perfect king and a perfect brother. Shri Ram is recognized as the seventh incarnation (Avatar) of Lord Vishnu, the preserver of the Universe. Lord Ram is known for his virtues. Ram is the enormous lord of Hanuman, the ultimate disciple. Amrit Naam Ram is a tribute to the Divinity of the supreme power RAM as the album name itself brings out the purity in reciting names of Ram by comparing it with the 'beatitude' of Amrit"